Does Black Bush belong in your whisky cabinet? 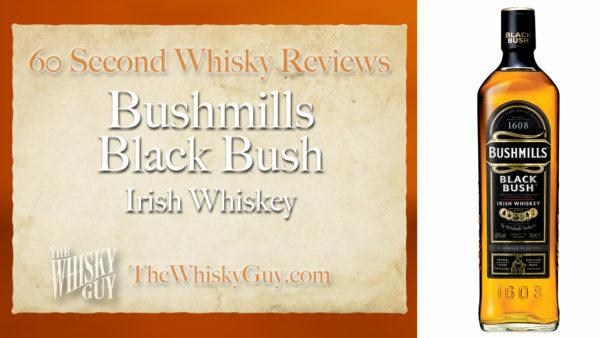 Find out as The Whisky Guy reviews Bushmills Black Bush Irish Whiskey in 60 Second Whisky Review #067! 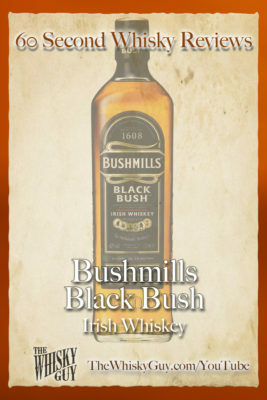 Bushmills Black Bush is a step up from the white label, using more malt whiskey in the blend and more sherry casks for maturation, but does that mean it belongs in your whiskey cabinet? Give me 60 seconds and find out as The Whisky Guy tastes Bushmills Black Bush Irish Whiskey!